I hope all of those who celebrated had a wonderful Thanksgiving! Giving thanks is at least as healing as a healthy diet! For those of you who celebrated it just to eat a lot or for entirely other reasons, I hope you also had a wonderful holiday, and for those of you who did not celebrate anything at all, I hope you had a wonderful weekend. After reading the research reviewed in that post, I’m quite convinced that the development of fatty liver is pretty simple: anything that increases the amount of energy that the liver needs to process forms the first part; anything that impairs the ability of the liver to export that energy forms the second part. High intakes of total calories, sugar, fat, or alcohol can all contribute to fatty liver in animals. But the king of all nutrients needed to export that energy as fat, choline, protects against the disease in all of these animal models. Of course, a high intake of PUFA contributes to the inflammatory component, and when combined with other toxic factors may also contribute to the fatty component by preventing the liver from exporting its fat. 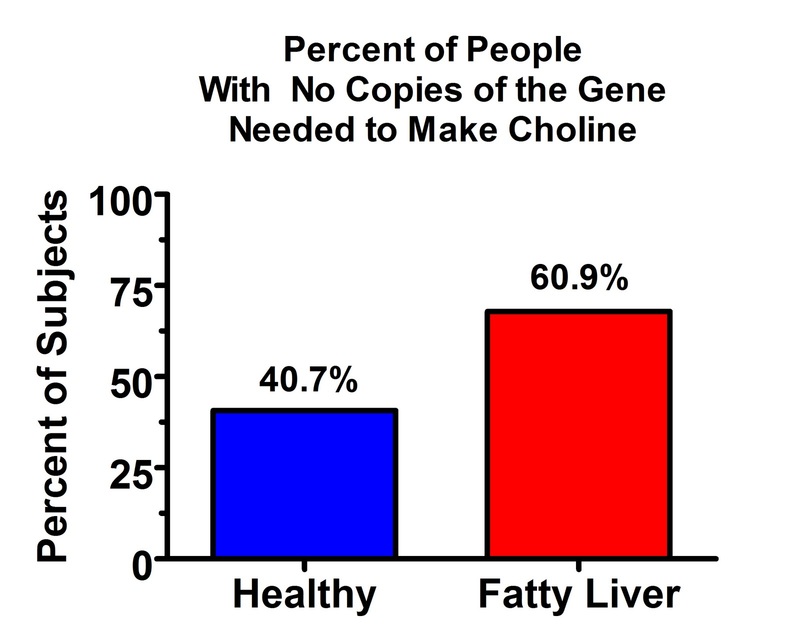 Does choline play the same role in fatty liver disease in humans? There are a few reasons to think it does. The most convincing of these is that it’s been demonstrated in folks getting fed intravenously. The most interesting of these is the wide prevalence of a defect in the gene that allows us to synthesize phosphatidylcholine from the amino acid methionine. Its prevalence is high in the general population but almost complete among those with fatty liver. The basic mechanisms of fatty liver in humans are the same as they are in animals. Humans with fatty liver disease have increased lipogenesis (synthesis of fat from carbohydrate) (1), increased circulation of fat released from adipose tissue (2), and decreased secretion of fat from the liver (3). Although folks with fatty liver release more fatty acids from the fat tissue, the studies cited above show that their livers don’t actually synthesize more fat from these fatty acids than the livers of healthy folks do. So those fatty acids may contribute to “lipotoxicity” — and in fact the creation of triglycerides in the liver is in part probably an effort to protect against the toxicity of excess free fatty acids — but it seems that the synthesis of fat from carbohydrate is more important than the release of fat from adipose stores. The increased synthesis of fat almost certainly means that the burning of fat is decreased, because these two phenomena are metabolically linked to each other. Animal experiments using specific enzyme inhibitors suggest that both need to occur simultaneously to get significant increases in liver fat (4), if you want to induce it without any changes in the diet. It was until quite recently thought that choline is not an essential nutrient in humans because choline can be synthesized from methionine. In 2001, however, a very small randomized, placebo-controlled trial conducted in 15 patients who developed fatty liver while receiving intravenous total parenteral nutrition (TPN) showed that the addition of two grams of choline chloride to the formula could completely resolve the fatty liver (5). There are a number of other nutrients that reduce our requirement for choline in addition to methionine. One is betaine, which occurs most abundantly in wheat, spinach, and beets. Folate and vitamin B6 are also important. However, betaine, folate and B6 simply spare choline. We can actually use methionine to methylate a phospholipid called phosphatidylethanolamine to phosphatidylcholine, the principal choline-containing phospholipid. There’s just one problem: doing so requires an enzyme called phosphatidylethanolamine-N-methyltransferase (PEMT). The presence of at least one defective copy of this gene is extremely prevalent in the population, and it dramatically raises our chances of developing fatty liver on a low-choline diet. Of course “defective” is a value judgment. Apparently it’s “good enough” to survive at a high prevalence. But I’ll call it “defective” for now for the sake of simplicity. One recent study suggests that people with defective copies of this gene are much more vulnerable to developing fatty liver on a low-choline diet. The study is built on the findings of a previous study published a few years ago, so we’ll discuss that one first. In the first study (7), the investigators fed 57 healthy men and women a diet containing roughly the RDA for choline (550 mg choline for every 70 kg bodyweight) for ten days. Then they switched them to a choline-deficient diet for 42 days. The diet was adequate (meeting or exceeding the RDA) for the other essential nutrients but contained less than 50 mg choline for every 70 kg bodyweight. The investigators then increased their choline intake stepwise, replacing 25% of it for ten days, then 50% for another ten days, then 75% for ten days, and then 100% for the final ten days. 38% of young women, 40% of men, and 80% of postmenopausal women developed fatty liver. 81% of these people resolved their fatty liver at some point during the repletion phase, while the others recovered only after returning to a normal diet. This study is not terribly convincing. It is essentially an observational study because there was no control group, and rather than giving different people different doses of choline during the repletion period, they all got the same dose at once, increased over time. The results could be explained in numerous alternative ways. For example, the low-choline diet could have had some noxious factor in it that the subjects adversely reacted to at first, but to which most of them adapted over time. Nevertheless, the study is an interesting pilot study, and it suggests that there may be very wide variability in the choline requirement, and that it may be much higher than the RDA in some people. And these people were healthy. As indicated by the genetic data above, people with fatty liver disease — possibly a third of the population — might have even higher needs for choline. And of course, the whole point of my last choline post was that the choline requirement is affected dramatically by what else we eat, not just our genes. The second study (8) was designed similarly, but they did not monitor variation in the amount of choline needed for repletion. In this study, they divided postmenopausal women into those who had defective copies of the PEMT gene and those who did not, and they randomly allocated half of them to estrogen therapy. After all, the fact that twice as many postmenopausal women developed fatty liver in the previous study compared to younger women suggests that estrogen might reduce the choline requirement. 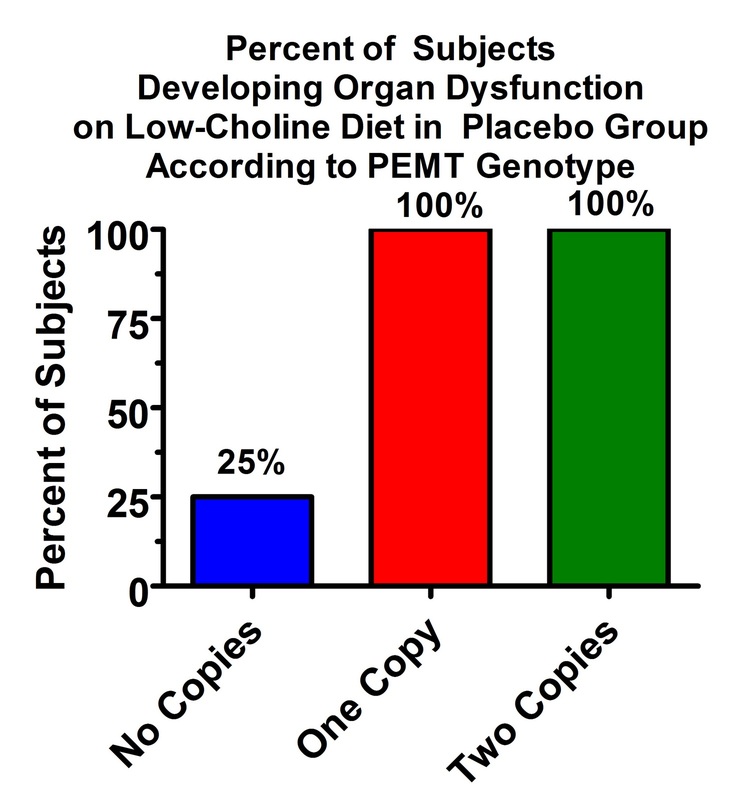 In the placebo group, only 25% of women with no defects in the PEMT gene developed “organ dysfunction” on the low-choline diet, but a whopping all of them developed organ dysfunction, virtually all of which was fatty liver, if they had at least one copy of the defective gene! Quite an interaction! 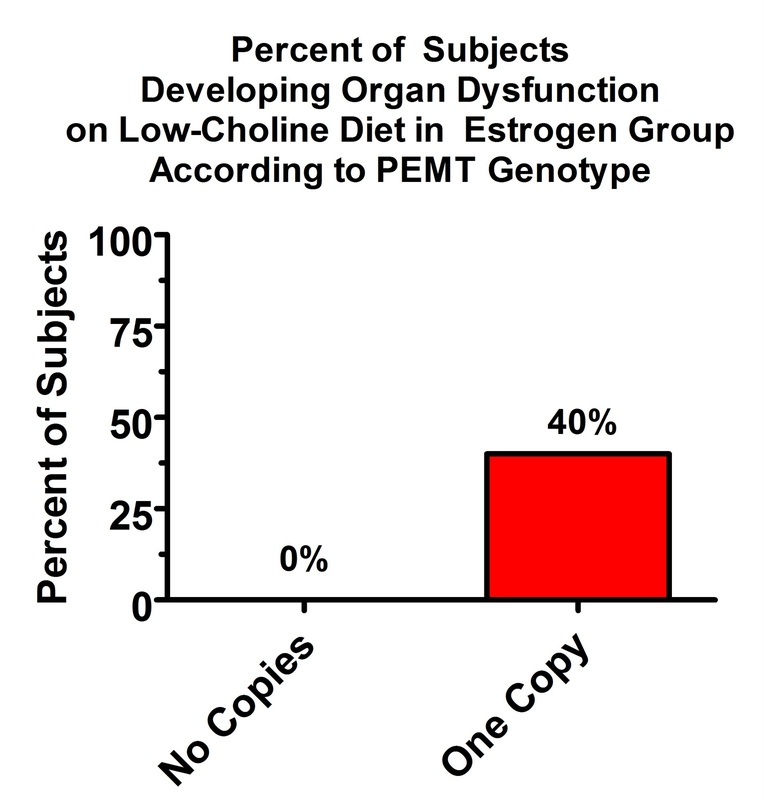 The combination of estrogen and two healthy copies of the PEMT gene abolishes the risk of choline-deficiency associated fatty liver, at least in the short course of a month, on an otherwise adequate diet. But it seems those with two of the “good” copies are in the minority. It makes sense, from an evolutionary perspective, that young women can supply more of their choline requirement from endogenous biosynthesis because pregnancy and lactation are times when the demand for choline is especially high, particularly to support the developing nervous system. That’s a rather odd comment considering the paper made no attempt to unravel the gentic mechanisms by which estrogen is increased during youth or by which estrogen decreases the choline requirement, but it’s an interesting tangent. Certainly, it is biologically more important to provide choline to the brain of a developing fetus and infant than it is to make enough to get the fat out of your liver. On the other hand, men were a lot better off than postmenopausal women, and although it’s possible for men to lactate, it’s very rare. Evolutionarily, it makes a lot of sense for men not to lactate, because… ah well, nevermind. Maybe in another post. Neither of these studies provide conclusive evidence that suboptimal intakes of choline cause fatty liver in humans, but together the totality of these data make a strong case for testing the hypothesis. It certainly seems that most of us are vulnerable to needing choline, rather than just methionine and the other nutrients that spare it. The TPN study provides proof of principle that choline does indeed reverse fatty liver in humans. And the universality of the protective effect of choline in diet-induced animal models of fatty liver certainly puts choline at center stage. PEMT is not the only gene that affects the choline requirement. I’ll be writing much more about the choline requirement and how to obtain it in a future post, and that will cover the effects of other genes as well. Lets raise another glass to King Choline! Long live liver and eggs! Recent New England Journal of Medicine lecithin study synopsis posted in NY Times. Carnitine, from red meat, and lecithin, from egg yolks, are digested by intestinal microbial flora to yield choline. The liver was found to convert to TMAO, trimethylamine N-oxide, which at high levels are linked to increased risk of heart attack and stroke.Summary statement, consider lessening lecithin and choline in the diet, and avoiding supplementing until further studies done. Study done on 4,000 people seen at the Cleveland Clinic. Can you recommend a Choline supplement that does not contain eggs or soy? My daughter is allergic to both and I can't get her to eat liver. Why don't people with fatty liver try supplementing for 6 months to a year, with a choline supplement such as choline bitartrate or choline citrate (lecithin is not a good source,btw) and report back their liver function findings here? might be interesting. How about supplementing with a little TMG? Fatty liver is surely a major problem, a lot of people face issues related to it, choline deficiency might contribute to fatty liver, egg yolks can be very helpful in this situation. Does your conclusion about choline and fatty liver still hold? Based on the abstract, I don't see how it could affect my conclusion. I don't think the absolute amount of choline in the diet is a major contributor to fatty liver, but diets that contribute to greater energy flux as fatty acids and triglycerides through the liver probably require more choline to deal with it. So, I don't think it's very helpful to just look at choline intake by itself. I'm really fascinated by everything in this blog, thanks to all who've contributed. My query regards the use of whey powder in nutritional protocols to increase protein intake. 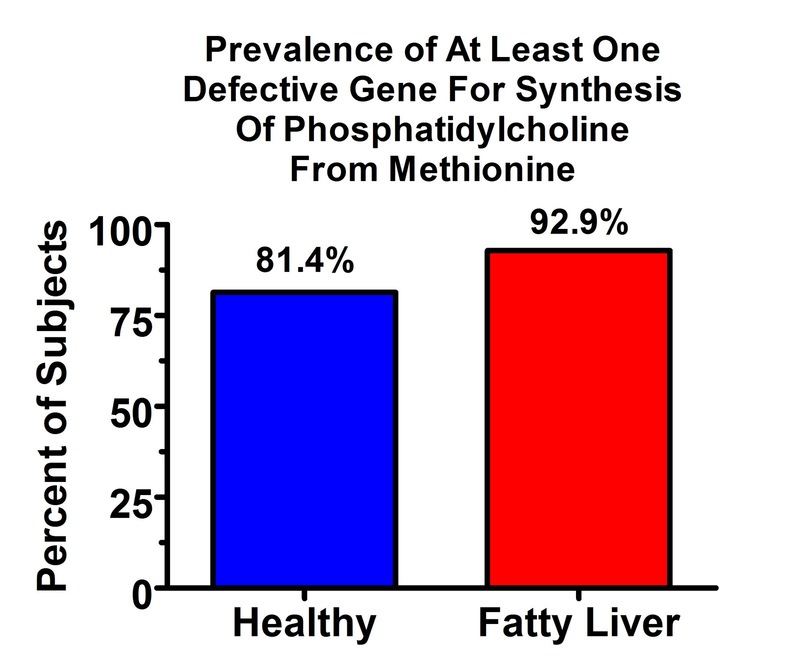 Could methionine from whey be increasing the risk of fatty liver (and therefore undermining the protocol in its entirety) if measures aren't taken to ensure commensurate additional quantities of choline through the diet? Great post, Chris! I can see you have put in a lot of research into this. I am not very familiar with choline deficiency but I'd have to ask whether a fatty liver could cause hypertension. I asked because I can see people who are underweight and yet their blood pressure are higher than normal. If I didn't miss it, you have not mentioned this pilot study which I think validates your recent choline-fatty liver series. Nice concise copper comment; like it. Before anyone takes a mega-supplement remember genetics. Globally millions have a genetic trait to excessively take up copper into their liver cells. That build up is, shall we say, undesireable. This is from Jane Karlsson. It seems that copper deficiency affects both pathways of PC synthesis. Your reference 10 says that the inhibitory effect of choline deficiency on VLDL secretion can be compensated by the methylation of phosphatidylethanolamine. This would need copper, because methylation reactions are controlled by the copper enzyme S-adenosylhomocysteine hydrolase. Synthesis of methionine by methionine synthase is also reported to require copper as well as vitamin B12. and finally, 'EFA deficiency' may actually be copper deficiency, because copper is needed for fatty acid desaturases. Organism as a Whole, you're welcome and thanks! Might-o'chondri-AL and everyone else, below is …AL's post, which somehow got eaten, to which I replied above. Outline form,":", was to avoid long texts. The items in parenthesis,"(a)", "(b)", went to what subject word preceeded with a ":". My comments are not an argument with your explanation. Curious that methionine excess "increases choline requirement" (despite PEMT enzyme limitation). Seems like the choline is doing another liver task in clearing high (for that individual) methionine; with body "demanding" choline. This suggests that high dietary methionine "must" be taken care of. (Research that "excess" methionine impinges on longevity dove-tails with the "demand" for additional choline to respond). 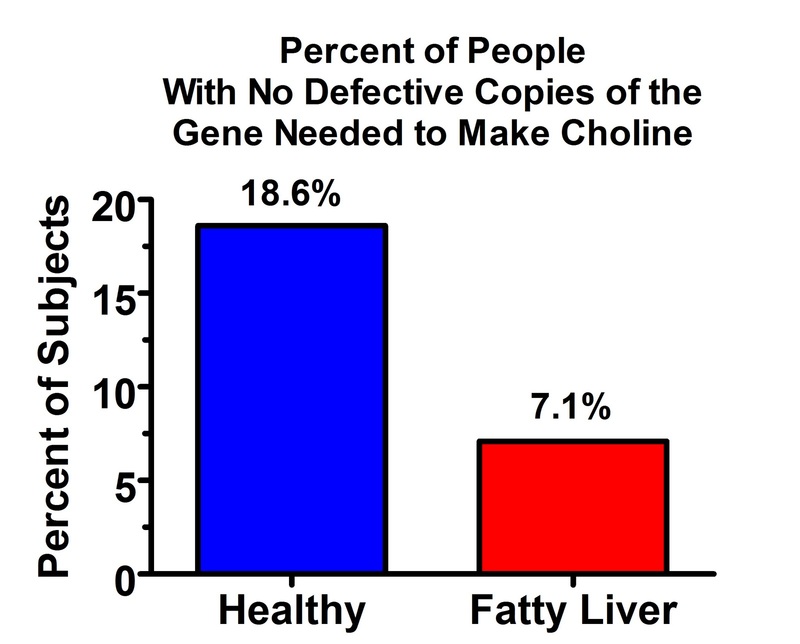 You show the liver becoming fatty & functionally suspect when not enough choline at work. I posit there is also methionine accumulation possibly "threatening" the liver health. Allow the premise that traditional diets were less likely to provoke visceral (liver) fat. And that indications of fatty liver were seen in some elder segments when tested. fatty livers indicate methionine eventually might get "the better" of choline somehow ? And, is their inconsistent access to calories (no fridge, unsteady harvest from land or sea, etc. )a factor that prevented methionine becoming a burden ? All over the world people ate their version of a survival diet & some showed good health. Healthy livers are relevant. The betaine intake I tried to lay out is one factor for "less" fatty liver problems. Beet "Kvass" is a European take on over coming insufficient choline to tackle the methionine load. The dairy cultures offer some interesting examples of methionine intake. Cheese making involves the seperation of curd solids from the whey. Yogurt (as will any form of clabbering the curds & the whey – including Kefir "grains" and such as the Masai use of cow's neck blood) without refrigeration and stabilizers will visibly seperate. Point to note is that whey is high in methionine.This is what I find relevant to your discussion of fatty livers. Cheese eaters are not consuming that whey (except as Ricotta). Nor without refrigeration was fresh milk (with it's whey) a practical farm staple to lay up. Many cultures feed that methionine rich whey to fatten up their slaughter livestock. It may be the dietary methionine is implicated in their holding on to fat gains – they're getting fatty liver metabolism (& poor choline intake). Yogurt for Mediteraneans (Greeks, Lebanese, Israelli)is just a step before they strain out the whey. In pastoral Africa the heat seperates the whey & if no famine the nursing livestock gets fed the whey – to make up for what milk "stole" from her mother. India's cuisine was formed more around the "curd" semi-solids & "paneer" cheese. In the Caucasus Kefir was fermented in a jiggled animal pouch(they could decant off the whey & use it to fatten up their non-milking stock). Fatty liver incidence in modern cultures may be rising with choline being forced to deal with excess dietary methionine (among other things) & genetics of slack PEMT enzymes. Is this a chicken and the egg riddle? Internet & I aren't fully sorted out. Please, do post my comment if you're able to. Thanx for feedback & your time spent on it. I've read your posts on fermented soy, honey, insulin resistance, and choline, and they helped me a lot. Mitochonri-AL, I don't know what happened to your post. Please repost it if you didn't mean to delete it. If you've lost it, I can repost it for you as I received it by email. Thank you for your response in sentence format. I agree that choline plays other important functions in the liver. The liver and kidney are the main organs that use betaine, which is derived from choline in the absence of major dietary betaine contributions. Betaine fulfills the same function there as B12/folate in regenerating methionine and then S-adenosyl-methionine (SAM) from homocysteine to continue the methylation process. That said, with sufficient serine and B6, the extra methionine will be converted to glutathione, which I think is the ideal situation. So, ultimately, I think consuming liver promotes the ideal of allowing choline to be used for its own sake and allowing B6 to be used for the generation of glutathione from methionine. I do agree that methionine can be harmful when it is not balanced by other nutrients such as folate, B6, B12, choline, and betaine. And even in this situation, the generation of glutathione is still using up serine, which is the main source of glycine. So I think it's also important to balance muscle meat with skin and bones, which are better sources of glycine. I think that is axiomatic. And while I'm sure that excess methionine beyond the liver's capacity to process it might damage the liver's ability to export it's fat, the role of choline still is most obviously and directly connected in that it is required for phosphatidylcholine synthesis and thus VLDL secretion. So, without excluding other indirect possibilities, for now I'm highlighting the more obvious direct relationship. Thanks for your comments and please feel free to contribute more. Jack, good questions. Yes, betaine HCl contains betaine. I will try to get data on betaine in sprouted wheat, if available, for my choline requirement post. Mitochondri-AL, it seems like you have a number of good points buried in your post, but it is difficult to understand what you are trying to say because you do not write in complete sentences. Does sprouted wheat contain betaine? I eat Food For Life sprouted grain breads on occasion and have been wondering if even fully sprouted/fermented breads like that are still problematic, even in small amounts like 1 slice per day. I know you could live without grains and many people actually have to, but I find it to be a very effective vehicle for a couple tablespoons of pasture butter or occasionally sprouted nut butters. Also, does Betaine HCI tablets count for the same thing regarding its effect on choline? Usually, a person would take the Betaine HCI tablets to increase stomach acid for improved digestibility (GERD/heartburn), but I wonder if there is also another benefit related to choline. I agree with you, but methionine in excess of what can be used by PEMT actually increases the choline requirement, so I think your observations integrate nicely into the very simple hypothesis I'm presenting, rather than urging for a more complex explanation. And that choline's overwhelming role here is simply to export the fat. Much of the complexity added to the picture of steatosis itself (again, putting aside the issue of progression to steatohepatitis) is probably downstream of this. For example, this accumulation plus associated compromise in triglyceride formation could result in oxidative stress and/or inflammation, the latter of which contributes to more oxidative stress, which would further decrease triglyceride output. However, noting every complexity is is important to do somewhere, but it's also important to present a simpler "big picture" when all of the pieces fit together into that big picture nicely. (a) metionine amino acid is "substrate" for PEMT enzymatic conversion into choline for important liver function. Ned, yes, I think it has the capacity to resolve many paradoxes. Principal among them so far is fat and fructose. Part of the reason, I believe, that high-fat diets cause problems in rodents is because the AIN-93 diets do not contain enough choline to deal with 30% fat, never mind 60% fat. Dietary fat, even "good fat," may promote disease in humans if not accompanied by sufficient choline. However, you bring up the most interesting paradox of all. Wheat is an EXCELLENT source of betaine, so much so that even white bread is a decent source, and betaine spares choline. Thus the traditional diet of Crete seems protective of heart disease and consistents almost entirely of wheat and dairy products. Or, as you say, even the French tolerate some white bread. More on this in my meeting-the-choline-requirement post. Oops, my comment above came out wrong. I meant to describe something that like the French diet, which includes white bread, and still seems to promote longevity. One reason why I think this may be a huge discovery is that it could explain the various dietary "paradoxes" that are often invoked to question the effectiveness of specific diets. The paradoxes that I refer to are diets that supposedly promote health and longevity because of presence/absence of certain foods, which eventually are found in other diets that also promote health and longevity. Having said that, do you think that choline deficiency can explain the various paradoxes that are out there? One thing that comes to mind is the old Loetschental Valley in Switzerland, studied by Weston Price. Its inhabitants apparently lived chiefly on rye bread and raw milk cheese. Oh also Ed, they derived most of their calories from glucose. Glucose is perhaps the least likely of macronutrients to increase liver fat and thus need for choline. In fact, everything I've been saying about the increased need for choline with fat, fructose, and ethanol has been considered relative to intakes of glucose. Responses to Ed, Anonymous, and Beth. Ed, I wonder also. However, Stephan indicated that they likely consumed additional foods away from the camp, and perhaps these were whole insects and other organ-rich foods. Maybe some of their foods are very high in betaine. I agree that the PEMT polymorphism could be a marker for diets traditionally high in organ meats. In any case, it's pervasive here. Anonymous, milk thistle raises glutathione. I'm not sure where it ranks out of the multitude of plants that contain beneficial toxins that increase glutathione levels. Subject of a future post for sure, but lower priority than choline, fructose, AGEs and a few other things right now. Beth, I agree without doubt that the formation of triglycerides is protective against toxicity lying downstream from fatty acids. I also agree that liver damage is likely to lie behind poor glucose metabolism. As indicated several posts ago, insulin almost certainly does not in and of itself make people fat. Very soon I'll have a post on how I think liver damage may contribute to leptin resistance and thereby to obesity. Although I agree that the formation of triglyceride is protective, I disagree that obesity is protective. I think that obesity most likely results from leptin resistance and a resultant dysregulation of energy intake and output. Poor use of a psalm. Thanks for this series. Even as a layperson, I'm finding it really fascinating. I had mostly been thinking of the things in the diet as the culprits (fructose, omega 6s, refined grains). But perhaps it is also things missing from an industrial diet (e.g., choline) that also contribute. Hmmm! Its often said that Milk thistle (or in supplement form: liposome encapsulated silibinin and silymarin), is good for the liver. Any truth to that? Can it actually reverse and repair liver damage? I wonder where high-carb eaters like Kitavans and Papua New Guineans etc get their choline from. Maybe Stephan could do a round-up post on high carb cultures and guesses about their choline sources. I wonder how prevalence of PEMT varies with latitude, or otherwise with geography. High PEMT incidence may indicate high levels of traditional choline consumption (eg organ meats — you should mention kidney and brain as other sources!) and/or low-ish carb consumption, although in your last post you did leave long chain fats on the hook as well.